A group of law students at Washington and Lee University is demanding the school banish the Confederate flag from its Lexington campus and repudiate one of its namesakes, Gen. Robert E. Lee. The students also want the private liberal arts college to end the practice of allowing "neo-Confederates'' to march on campus with battle flags during Lee-Jackson day, a Virginia state holiday that falls on the Friday before Martin Luther King Day. The students, known collectively as The Committee, vowed civil disobedience if their demands are not met by Sept. 1. In a letter this month to the university's Board of Trustees, The Committee said it decided to act out of "alienation and discomfort'' with the trappings of the Confederacy on campus. They include the array of eight Confederate battle flags in the Lee Chapel, where the entire Lee family is buried. Lee's beloved horse, Traveller, is buried outside the chapel. In a letter released Wednesday to the W&L community, President Kenneth P. Ruscio wrote that university officials "take these students' concerns seriously'' and that they would be addressed. He asked provost Daniel Wubah to meet with the students. Through a spokesman, he declined a request Thursday for an interview with The Associated Press. Dominik Taylor, a third-year law student, said the students decided to speak out after tolerating for years symbols and events they find offensive. Taylor said the "last straw'' occurred during Lee-Jackson Day in January when a guest speaker, Democratic political consultant Donna Brazile, was introduced in the Lee Chapel amid the battle flags and it generated racist hate mail. Washington and Lee, which is located in the Shenandoah Valley about three hours west of Richmond, was founded in 1749 as Augusta Academy, but adopted George Washington's name in 1796. Lee, who led Confederate forces during the Civil War before surrendering at Appomattox in 1865, served as the university's president after the Civil War and Lee became part of the university's name after he died. Lee is a primary target of the activist students, who argue that his ``racist and dishonorable conduct'' should be acknowledged. The Committee claims seven law school students. Taylor said its members include white students and its message is gaining wider acceptance, including support from faculty. "I think there's been a mix of responses,'' said Taylor, who is African-American. "A lot of the white students said, `Hey, this is coming out of left field.' "
Taylor said he and fellow minority students were aware of the traditions on campus before they attended, but valued a law degree from Washington and Lee. The Washington and Lee complaints are familiar ones in the South, where the former Confederate states have struggled with symbols of the past that some find racist. 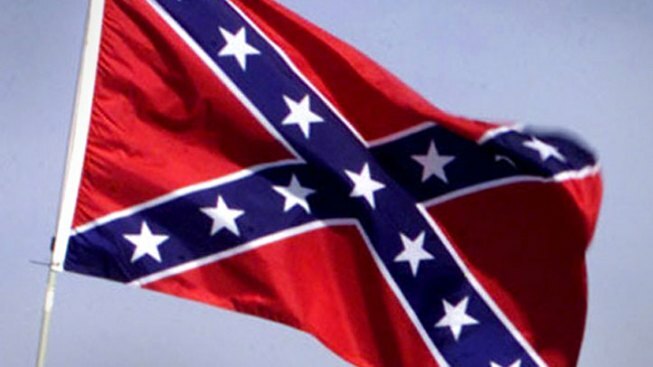 In the city of Lexington, home to Washington and Lee, the adoption of an ordinance in September 2011 outlawing Confederate battle flags on city light poles attracted loud protests from defenders of the Confederacy. One of those was Brandon Dorsey, who is a commander with the Lexington brigade of the Sons of Confederate Veterans. He participated in the Lee-Jackson march on the W&L campus. He blamed the protests on campus on a small group of activists.